Leaving Courmayeur on the Strada del Villair you will climb steadily past increasingly pretty chalets and through the hamlet of Villair. 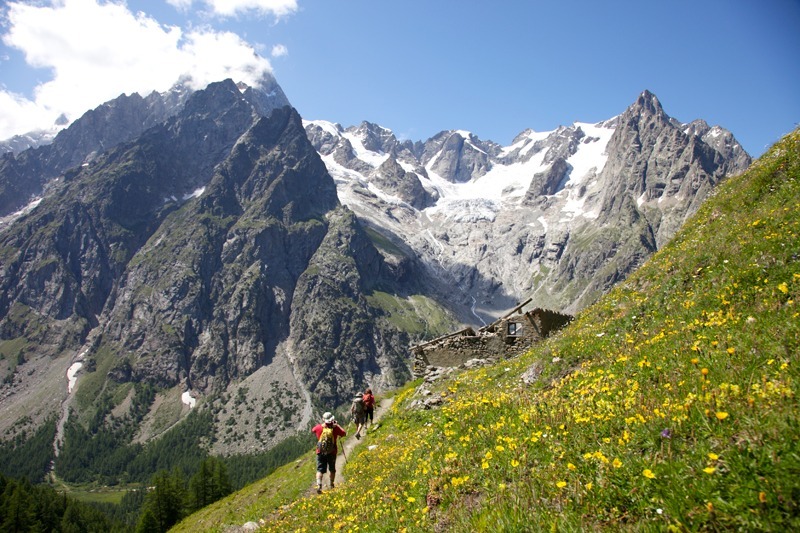 This easy, undulating path can be walked at leisure while enjoying the great walls of rock and ice across the Val Ferret. A few ruined huts and splashes of colour from wildflowers in the Alpine meadows makes this a delight from start to finish. The variant on this walk is one of the hardest days of the TMB as it climbs over 1200m from Courmayeur but you are rewarded with fantastic views of the Mont Blanc Massif opposite you.